Raised beds have been used for centuries as a method of vegetable and ornamental gardening. Beds may be raised just enough to layer a good layer of nutrient-rich soil on top of less-than-ideal ground, or they may be raised enough to allow for tending without having to bend over. Beds should be created so you can access them from all sides or be able to reach across the whole structure. Raised beds are ideal for vegetable and fruit gardening. They are virtually weed-free and require less water and fertilizer than traditional ground gardens. You know the soil that you used to construct the bed, and amendments, such as compost and manure, are only used where needed and not wasted on pathways between rows. Plus, raised beds are not walked upon, so the soil is never compacted like ground gardens, keeping the drainage at an optimal level. Plan beds in a north/south exposure in full sun when vegetable gardening. There are no special cultivars of any vegetable that is better for raised bed gardening, but you may consider varieties that are more compact when growing to take up less space. Plan your garden accordingly, considering placing taller plants in an area where they will not shade shorter ones. Also, consider saving even more space by using trellis systems to grow vining crops such as pole beans, melons and cucumbers. Place plants such as lettuce, radishes and cabbage at the base of your trellis plants to optimize room. Tomatoes, peppers, corn, okra and any other vegetable that catches your fancy can be grown in a raised bed garden. Do consider moving perennial plants, such as asparagus, rhubarb, strawberries and herbs, to their own raised beds for best results. Annual flowers are a perfect choice for raised ornamental gardens for those in wheelchairs or with limited mobility to bend over. Any annual will grow in raised beds, so use your imagination and find the plants that meet your fancy. Consider choosing plants such as lobelia, alyssum, sweet potato vine and black-eyed Susan vine to trail and cascade over the sides of your raised bed for interest. Place tall plants, such as sunflower, hollyhock and tall snapdragon, towards the back of border raised beds and in the middle of those beds that can be accessed from all sides. Fill in the rest of the space with prolific bloomers such as petunia, pansies, cosmos, baby's breath and violas. Choose plants by color and texture as well as following your particular bed's sunlight availability. In warmer climates, perennials can thrive in raised beds while cooler zones may not be as ideal. Because the root systems of plants are above the protection of the ground, perennial plants may not survive the cold winter. 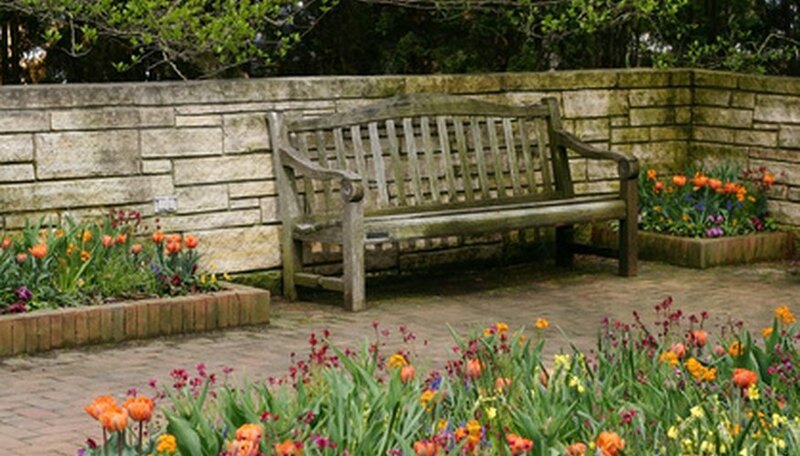 Speak with your local cooperative extension office for advice on how to best over-winter any perennials you may wish to grow in raised beds in your area. In some cases, gardeners will choose to grow perennials as annuals in raised beds simply because they love the way they look, while some choose to plant perennials in the bed still in containers so that it is easy to remove the plant to over-winter in a garage or basement and plant again in spring. For best results, choose native perennials to your growing zone for their hardiness and ease to grow to see if they will survive a winter in your raised bed. Black-eyed Susans, Shasta daisies, daylily, dianthus, creeping phlox and coneflowers are all excellent choices for their ease in care. Why Use Raised Beds for a Garden?